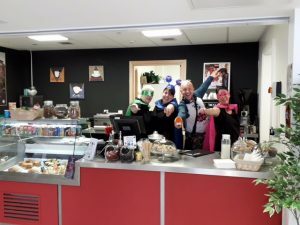 Our staff love any excuse to dress up and the recent CASH 4 KIDS Superhero Day on May 4th provided a fantastic opportunity to do so for a wonderful cause. 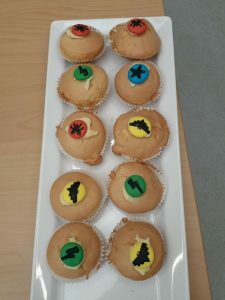 Having recently taken over the food service provision at the Harraby Café in Harraby Community Centre, Carlisle, our staff decided to work alongside Pennine Way primary School in hosting a most magnificent superhero fest to raise money for local disabled and disadvantaged children in our communities. Our superhero theme took off with a bang as we created special menus, decorations and of course, carefully considered our staff costumes. We even had a special visit from CFM’s Robbie Dee who chatted to Pennine Way pupils and visited the Café for a quick snack before swooping off in the team’s ‘super van’ to the next local fundraising event. 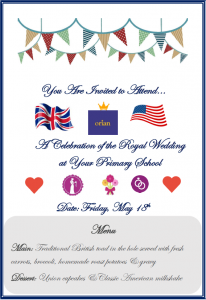 The next best thing to a wedding invite!